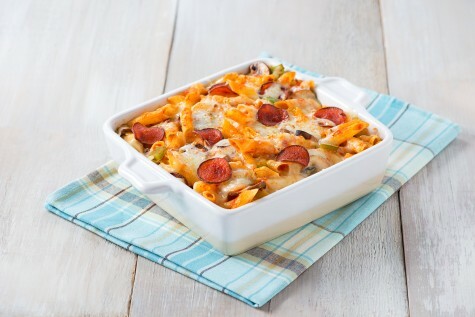 Take a pass on the pie and go for this zesty pizza casserole, made with Italpasta’s Gluten Free Penne Rigate, Marinara Smooth Style Sauce and Extra Virgin Olive Oil. Ooey, gooey goodness! A gooey, baked gluten-free dish for kids and the young at heart! Preheat the broiler to high; position the rack to the centre of the oven. Arrange the pepperoni in an even layer on a foil-lined baking sheet. Broil for 3 minutes or until crisp around the edges. Set aside. Meanwhile, heat the oil in a large, nonstick skillet set over medium-high heat. Add the mushrooms, green pepper, garlic and oregano. 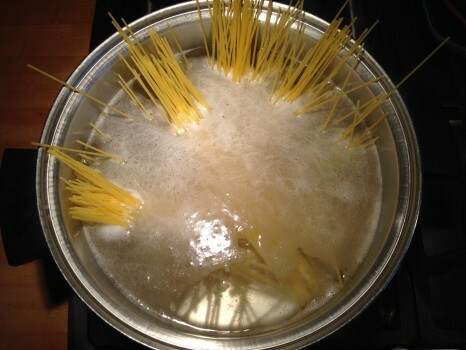 Cook for 5 to 7 minutes or until tender; stir in the sauce. 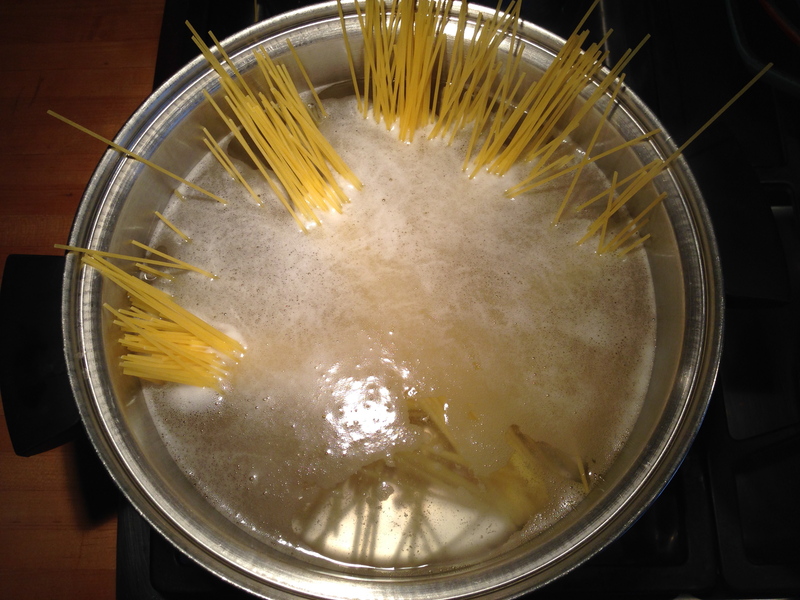 Simmer, stirring occasionally, for 10 minutes or until heated through and slightly reduced. Toss the sauce mixture with the cooked penne and half of the crisp pepperoni. Transfer to an 8-inch baking dish. Sprinkle the cheese over the penne and top with the remaining pepperoni. Broil for 5 minutes or until the cheese is melted. Let stand for 5 minutes before serving. 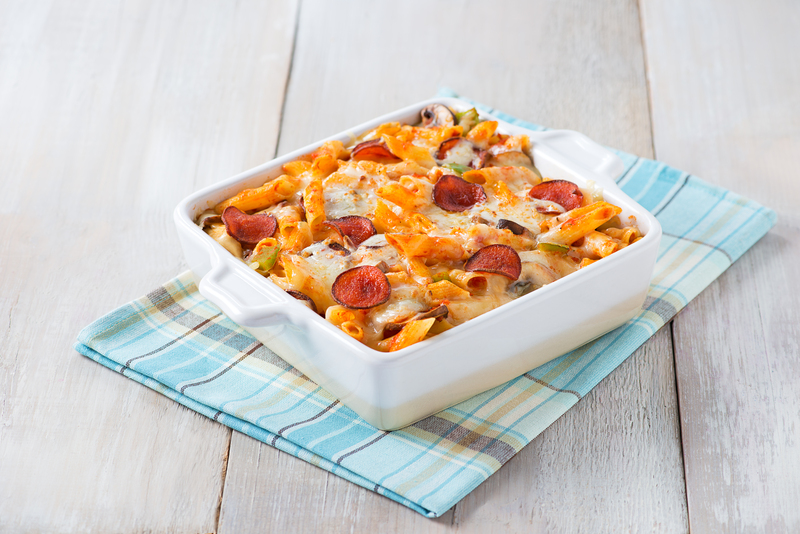 Tip: Customize this casserole by using any of your family’s favourite pizza toppings.